This past week, I watched a favourite movie, John A: Birth of a Country, for either the fifth or sixth time. 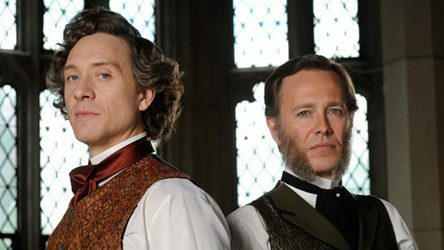 It’s a made for tv period drama of sorts set in the early 1860s and with historical importance. The acting and the story, in my opinion, are very well done, and the topic of the piece is interesting. If you can find a copy of it to watch, it is well worth the hour and a half to do so. 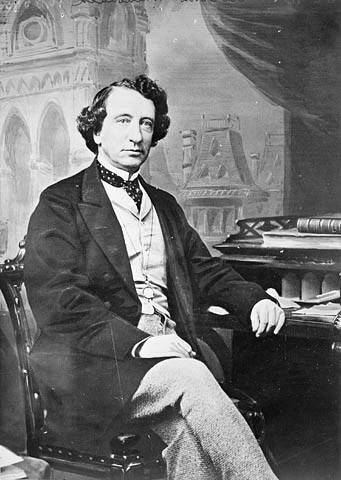 The film focuses on the work of Sir John A. Macdonald who would later become the first prime minister of Canada. He was an interesting character and is of great significance in Canadian history, and I would encourage you to do a bit of reading about the man. However, I do not wish to talk about the star of the film. I would rather talk briefly about the antagonist of the film, George Brown. You see, although Canada did not become a self-governing nation through revolution, it did not come to its independence without conflict. Some of that conflict was played out on battlefields in the form of rebellions and some of it played out in the legislative assembly as well as in the newspapers of the land. One of those newspapers, the Globe, was owned by George Brown. But first, let me give you a few scant but important details about the political situation in Canada at that time. In 1841, through the Act of Union, Upper and Lower Canada were united into one single colony with Upper Canada becoming Canada West (think Ontario) and Lower Canada becoming Canada East (think Quebec) and each section receiving an equal number of seats in the Legislative Assembly. In the 1850s, there were five political parties as described in this table from the book Flashback Canada. As you can see there were many factions which naturally lead to conflict and strife. Coming to a consensus on anything was challenging, to say the least, and in the early 1860s these rivalries became the basis of political deadlock. No party could get enough votes to carry on government business, and in the three years leading up to 1864 (the year in which this film concludes) four governments had resigned and there had been two general elections. Adding to the difficulties of the times and pushing Canada toward confederation were many factors. There was the threat of the Americans — the US was embroiled in a civil war. Britain appeared to support the South because it needed cotton for its textile factories. This did not make British held colonies popular with the North, as you can imagine, and there was fear that the North after being victorious would turn its armies against British North America (BNA). Remember, there was also the idea of Manifest Destiny that was popular at this time which stated that all of North America would naturally, one day belong to the United States. There was the threat of the Fenians. Fenians were Irish Americans who wanted their homeland of Ireland freed from British rule and thought by attacking BNA, they might force Britain into giving Ireland independence. And they did launch several raids against BNA. There were worrisome, depression-causing economic factors. Britain was no longer giving preferential treatment to goods arriving from their colonies, and there was fear, rightly founded as it turns out, that the reciprocity agreement BNA had signed with the US would be terminated. There was a need for a railway. However, railways are expensive to build. If the colonies of BNA were united, the cost could be shared. I know it seems like I have wandered a long way away from where I was supposed to be going with this post, right? I haven’t. Not really. It is in this setting of unrest that the film is set. In 1864, George Brown suggested that in order to break political deadlock, parties should work together. The result was a coalition government and the beginnings of a plan to unite all the colonies of BNA into one independent country. In the film, I think we get a good glimpse at just how difficult that decision must have been, for it meant that George Brown would have to work with and under the man he had fought against for so many years. I set aside my own ambitions and my pride and take the steps necessary to ensure the future of this great nation. delivered on February 8th, 1865 [during the Confederation debates held in the Legislature of the United Province of Canada], immediately after the reading of the Order of the Day for resuming the debate on the resolution for a union of the British North American colonies. Its delivery was frequently interrupted by the hearty cheers of the House, and at its conclusion Mr. Brown resumed his seat amid loud and continued applause. We ask the House to pass it in the exact form in which we have presented it, for we know not how alterations may affect its safety in other places; and the process of alteration once commenced in four different legislatures, who could tell where that would end? Every member of this House is free as air to criticise it if he so wills, and amend it if he is able; but we warn him of the danger of amendment, and throw on him all responsibility of the consequences. We feel confident of carrying this scheme as it stands, but we cannot tell what we can do if it be amended. Let not honourable gentlemen approach this measure as a sharp critic deals with an abstract question, striving to point out blemishes and display his ingenuity ; but let us approach it as men having but one consideration before us—the establishment of the future peace and pros­perity of our country. Let us look at it in the light of a few months back —in the light of the evils and injustice to which it applies a remedy—in the light of the years of discord and strife we have spent in seeking for that remedy—in the light with which the people of Canada would regard this measure were it to be lost, and all the evils of past years to be brought back upon us again. Let honourable gentlemen look at the question in this view, and what one of them will take the responsibility of casting his vote against the measure? The future destiny of these great provinces may be affected by the decision we are about to give to an extent which at this moment we may be unable to estimate, but assuredly the welfare for many years of four millions of people hangs on our decision. Shall we then rise equal to the occasion?—shall we approach this discussion without partisanship, and free from every personal feeling but the earnest resolution to discharge conscientiously the duty which an overruling Providence has placed upon us ? It may be that some among us will live to see the day when, as the result of this measure, a great and powerful people may have grown up on these lands—when the boundless forests all around us shall have given way to smiling fields and thriving towns—and when one united government, under the British flag, shall extend from shore to shore; but who would desire to see that day, if he could not recall with satisfaction the part he took in this discussion? George Brown is remembered as a politician, Father of Confederation, newspaperman, and a man who was able to rise above political differences and who, in so doing, helped pave the way for the creation of the Dominion of Canada — a country that was proclaimed into being on July 1, 1867 and whose 150th birthday we in Canada celebrated this past Saturday. I was born and raised mostly in the U.S. and didn’t come to Canada until late 1979. I met my husband up here and have stayed becoming a Canadian citizen. My great-grandfather (on my dad’s side) immigrated to the U.S through Ellis Island from Montreal, Quebec. My grandmother’s family (my father’s side) immigrated from Scotland. My mother was from N. Ireland and immigrated to the U.S. after World War II where she met and married my father. So a lot of immigrating has been going on in my family! I was also born and raised in the US and did not come to Canada until after I was married (to a Canadian, whom I met while he was in the US) My family came from Scandinavian countries back around 1900. My grandparents on both sides, I think, were the first born in the new world in our family. I know that my husband’s family on one side came from England or Wales but I’m not sure about the other side. And, of course, when my father-in-law was born, Newfoundland where his family lived was not yet part of Canada. So lots of variety! I wish I knew more of the details. I find that sort of thing very interesting. My father’s family came from the Quebec area and we did at one time visit an uncle near there. My father was a Lambert. But no family tree has ever been researched. We did make 2 trips to the Quebec area when I was young and visited The Basilica of Sainte-Anne-de-Beaupré, which had a display of articles left by those who were “healed” there. I admit I am fairly uneducated in the history of Canada, other than a very general overview and learning the provinces during a geography class as we learned the geography of the Americas. Thanks for sharing. My mother-in-law’s family came from Quebec. I would love to have a family tree researched. I find that sort of thing very interesting. I, too, learned about the provinces in back in school (in the Midwestern US) and even had to do a project on one of them, but I never learned a lot of the history until I came to live here. I find the time period of history around confederation to be particularly interesting. When my son was growing up, he and I made our annual summer trek from Columbus, Ohio, to Kitchener to immerse ourselves in my family’s Scottish ancestry. We also stopped in Windsor and Toronto. Over the years, I explored much of Canadian history, but I was not familiar this pair. I must say though the first time I realized that the Ontario area was “upper” Canada and the Quebec areas was “lower” Canada, I was quite perplexed. It seemed the nomenclature was literally turned on its head. It took me awhile to figure out it was not a North – South thing, but a religious division between the French speaking Catholics and the English speaking Anglicans. The British government in the late 1700s managed to appease everyone, on the one hand by rallying French Canadians to its cause, since the threat of war with the United States still loomed, and on the other hand by creating a Loyalist enclave so that His Majesty’s faithful subjects, virtually all of whom were English-speaking and of Anglican faith, would no longer be plagued by the demands of the French Catholic majority. Finally, the establishment of the new colony in the western portion of Québec ensured that any attempt by the French inhabitants to expand their boundaries toward the “upper country” (now Upper Canada) would be nipped in the bud. Very informative post on a topic I knew nothing about. Thanks for sharing. Glad you were able to learn about something new. 🙂 And that you enjoyed doing so! Thank you for this informative post! Happy 4th of July, Leenie! Thank you! Happy 4th of July to you, too! 🙂 I’m glad you enjoyed the post. Happy 4th of July to you!